When the findings of the OECD “Programme for International Student Assessment” PISA gained public attention in 2001 and much more intensively in 2003, many politicians in unison with most of mainstream media and along with some scientists expressed unanimous surprise at the clearly documented relation between the socio-economic status of families and the educational performance of their children. Personally, I have neither been a politician nor a journalist nor a scientist in 2001; so possibly I am failing to have the right background to understand the continued public gasps of irritation and disbelief. On the other hand I simply cannot imagine how, to give you but one example, the permanent ghettoisation of immigrants in no-go-areas of suburbia could have no or little effect on the learning of anyone. It is quite striking how powerfully PISA (and a good amount of research well before PISA-times) has shown that educational achievement is so highly sensitive to the initial socio-economic conditions of students – one of the characteristics of complex systems. And it is similarily eye-catching that those countries where the social background plays little or no role in relation to educational success, are exactly the countries which have chosen to balance inequality. One example is Finland, where every student is entitled to financial support from the state – thus disconnecting the educational system from the financial possibilities of the parents and giving independence to the student. I might be wrong but does this not suggest that Johann Wolfgang Goethe is still right in saying “Everything is simpler than you think and at the same time more complex than you imagine”? to do with little potential of the individual and, remotedly, little potential of the educational institution. But alas, not everyone is refusing to see the beauty of complexity which is often referred to as ‘common sense’ — and which is, it seems even more often, excluded a priori from dwarfish-sectorial political arenas. 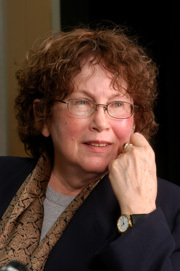 One example is Jean Anyon, a professor of urban education at the City University of New York. She is an internationally acclaimed critical thinker and researcher in education and has published a number of influential and powerful texts on the relation of education and social-class contexts. In her contribution “What ‘counts’ as educational policy? Notes towards a new paradigm” to the Harvard Educational Review in Spring 2005 she writes that “the effects of macroeconomic policies continually trump the effects of education policies”. You might ask yourself: Why is her work so interesting for us in Europe? Why is it relevant to non-formal education? I can, of course, only give you my personal perspective, and you make your own choice: I find her work so interesting because she has observed a strong influence of the socio-economic background – in other words: social class – on the success in the education system of the US, a country which was founded after medieval times, feudalism and all that and which was based on the equality of people stated as a fundamental principle in the declaration of independence. A second element makes her work worthwhile some reading and thinking time in my humble opinion: With our current practice in European-level non-formal education we only reach youth workers and youth leaders from particular backgrounds. I would myself make the populist claim that even with our work targeting disadvantaged young people and minorities, we mostly reach out to elites of one kind or another – our information only reaches certain groups of people, it is relevant only for certain groups of people, and it is multiplied towards certain groups of people. This is evident from practice — but it also manifests itself in the theories of participation we have been discussing in our community with researchers, policy-makers and practitioners. All important policy documents clearly state in rare harmony with current research that participation is only an option for those who do not have to worry about their food on an every-day basis. This implies that socio-economic well-being is a precondition for participation, and therefore a fundamental prerequisite for democratic societies to work. Anyon, Jean (2005): Radical Possibilities: Public Policy, urban education and a new social movement. Routledge, New York. At Amazon. 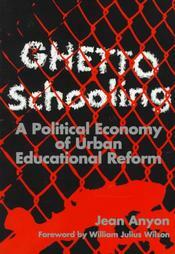 Anyon, Jean (1997): Ghetto Schooling: A political economy of urban educational reform. Teachers College Press, New York. At Amazon. Anyon, Jean (1980): Social Class and the Hidden Curriculum of Work. Anyon, Jean (1981): Social Class and school knowledge.